There are various ways of repairing damaged teeth in the modern day. Dentists have come up with various ways to give their patients a more youthful and beautiful smile. The dental procedure used will depend on the extent and cause of damage. Before settling on any dental repair procedure, the dentist will first assess the level of harm. Composite is one the cosmetic dental procedures that can repair almost all types of damages to the teeth. For instance, bonding can be used to repair chipped teeth, cracked teeth and also be used for teeth whitening in the case of severe staining. Just like the name suggests, composite bonding involves bonding the teeth using a material know as composite. The composite offers a bond the same as a strong cement layer. The best thing with this type of composite is the fact that it looks exactly like the color of teeth. This is a very good type of masking, and no one will even notice. Unlike composite bonding, veneers offer a more permanent repair to damaged teeth. 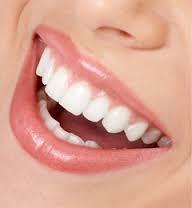 If well taken care of, veneers are capable of lasting up to 30 years. Most of the veneers are made using porcelain. They are placed on top of the damaged tooth to improve appearance. 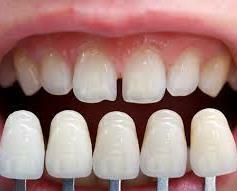 You might need veneers if your teeth have been affected by fluorosis or you have cracked and chipped teeth. Crowns act like a cap to the tooth. They are placed on a damaged tooth to protect it from further damage and also improve the appearance. Before the crown is placed on the tooth, preparation is first made to shape and clean the tooth. The crown has to fit properly on the tooth to provide maximum effects. The dentist will make sure that your dental crown matches with other parts of your teeth. Dental implants are usually the last results when the damage is beyond repair. Dental implants are permanent artificial teeth. Dental implants are recommended after the loss of teeth to replace the missing teeth and improve appearance. Most of the time, dental implants will last a lifetime.